Egglettes Review: Hard-Boiled Eggs Without the Shell? VAV Mini Hair Dryer Review: Does it Work? The VAV Mini Hair Dryer may not replace your powerful full-sized dryer, but it could certainly find a home in travel bags and small bathrooms. It may not be as powerful or as hot as some alternatives, but it does a surprising job given its size. The VAV Mini Hair Dryer is a small hair dryer which features a 1000 Watt motor. Can it compete with full-sized dryers? Read our VAV Mini Hair Dryer review. You can get the VAV 1000W Mini Hair Dryer on Amazon for $19.99. We haven’t seen this item in stores. If you have, let us know in the comments below. Perhaps the most understated word in the VAV Mini Hair Dryer name is “mini.” When you take one look at this hair dryer, you may be surprised just how small it is. Measuring only 7 x 2 x 8 inches, this tiny hair dryer does not seem at first glance as capable of drying anything but the hair on a Barbie doll. Once you engage the 1000 Watt motor, however, you may be pleasantly surprised. Despite its small size, there is no shortage of features. There is an included concentrator and removable filter, along with two speeds and a “COOL shot” setting. The cool button allows you to add bursts of cool air while drying. That feature may not be something everyone will use, but it’s a nice addition. The 1000 Watt motor is more than capable of getting the job done. While we wouldn’t say that the VAV dryer could replace a powerful full-sized hair dryer, this is the perfect item for travelers who are tight on space. It is also ideal for very small bathrooms where space is an issue. It may also be a good backup dryer, without taking up the space of a full-sized unit. Overall, it’s a nifty gadget which works beyond what its first impression indicates. 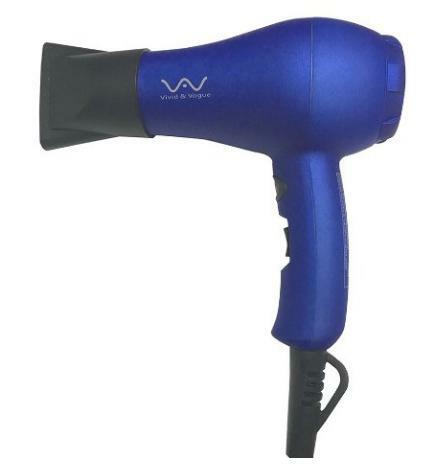 The VAV Hair Dryer shares a number of features with other mini, or travel, hair dryers. It is virtually identical to a product by Wazor, right down to the photos used on Amazon. Fortunately for the VAV version, reviews for the Wazor dryer are quite high. The MHD Professional Mini Dryer also looks the same, although it comes in black and has an optional 1875 Watt normal-sized version. The VAV, Wazor, and MHD all cost $19.99 and sport the same features. Have you tried VAV Mini Hair Dryer? Please give it a star rating and comment below. Air Hogs Helix Sentinel Drone Review: Does it Work? Copyright © 2019 Epic.Reviews, All Rights Reserved.